The ICC and Coca-Cola recently announced that they have entered into a global strategic partnership to celebrate one of the world’s most popular sports – cricket and its premiere events. The partnership will entail The Coca-Cola Company’s brands becoming exclusive non-alcoholic beverage partners of the ICC and all of its tournaments for the next five years. “Consumers are at the heart of Coca-Cola’s beverage portfolio. The company is acutely attuned to their preferences and continuously looks at innovative ways to connect people with our brands. As part of our partnership with the ICC to inspire moments of optimism and happiness amongst consumers, we will also offer fans a chance to watch the 2019 ICC World Cup matches live. The objective of this partnership and exciting campaign is to connect all fans of cricket, our consumers, the brands and the everlasting love for the game of cricket in Sri Lanka, together. 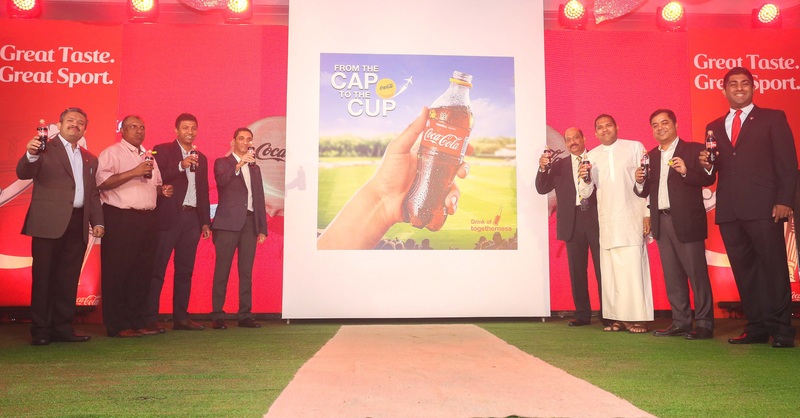 We hope that this campaign will highlight Coca-Cola’s spirit of togetherness and help us to all support, cheer for and uplift our players as they vie for the trophy in London.” said, Pankaj Sinha – Managing Director, Coca-Cola Sri Lanka Private Ltd.